Indonesia is a country in Southeast Asia. This country is the largest archipelago country in the world. The country has more than 100,000 islands scattered along the equator. Therefore, air transport is one of the major transportation of choice in the country. Since 2000, regulations on aviation in Indonesia have been relaxed thus causing many new airlines to exist in Indonesia. Since the beginning of independence until now there have been many airlines that adorn the sky of Indonesia with various routes of destination, but intense competition and economic turmoil make only a few airlines has been able to survive to this day, coupled with the presence arrival of new airlines and the entry of foreign airlines to create aviation services business here that make the industry to be increasingly competitive. In Indonesia, there are at least 30 airlines that are traveling every day in the sky of Indonesia, both big airlines, small airlines, and chartered airlines. Some of these airlines are from neighboring countries as well as from Indonesia itself. Garuda Indonesia is Indonesia’s largest and largest airline (100+ aircraft, 50 routes) among all the airlines operating in the country. The company was founded in 1949 and since then has built a reputation for delivering moderate fares and higher service levels than other Indonesian airlines. The new concept of service (“The Garuda Indonesia Experience”) covers aspects of Indonesian culture, cuisine, and hospitality. Garuda Indonesia has First Class, Executive Class, and Economy Class categories. First class seating in the Boeing 777-300 ER is a private suite with an ergonomic chair measuring 208 cm long and 55 cm wide and can be converted into a flat bed, complete with a mattress. For the Executive category, the seat is also ergonomic with wide leg room with 106 cm of comfort-ability. For the Economy category, the seat has a comfort-ability with a foot space of 78 cm long. 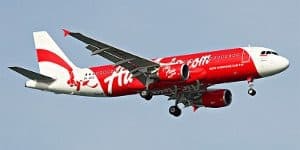 AirAsia is a low-cost Malaysian airline. Air Asia Indonesia is an association of carrier companies that operate domestic and international service schedules in Indonesia. Owning 22 aircraft and flying to 13 destinations, AirAsia Indonesia is one of the biggest actors in the domestic aviation market. It is listed under category 1 by the Indonesian Civil Aviation Authority for aviation safety and is recognized by the European Union. Indonesia AirAsia has a hot-seat category and economy class. Hot-seat is placed on rows 1 through 5 and near emergency gates (12 and 14). Hot-seat have more leg room. Passengers who choose hot-seat will get the facility to board the plane first. Passengers who want to sit in a place near emergency doors are required to be healthy and physically able. Lion Air is Indonesia’s largest private airline, based in Jakarta. Lion Air became popular with passengers partly due to its aggressiveness policy in route expansion and also it has a flexible pricing structure. Lion Air currently has 60 operating fleets (with the estimated fleet age of 7 years) and 230 planes still in order. Lion Air’s fleet serves 3300 flights a week to 36 destinations – both domestic and international. For the seating placement then in Business class, Lion Air offers more space in the cabin as well as personal service and a higher level of privacy. Business class customers also gain access to private space and have leather seats that are more comfortable (spacious leg room), passengers can also enjoy in-flight food options available in Economy Class long distance, international flights. Citilink is a low-cost subsidiary of Garuda Indonesia and provides low-cost shuttle service among the 10 major cities in Indonesia. 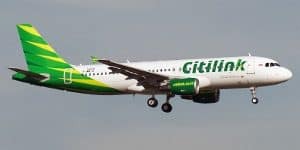 A new business plan to be introduced by Citilink in 2012 include a separate business entity and adds a fleet of up to 40 aircraft. The airline has ambitions to become a regional airline with a significantly low cost and with the anticipation of 8 million passengers by 2017 and new domestic and international routes. In Citilink, Passengers can choose the desired seat when booking tickets. Prices in each row are different, row 1 is the most expensive, row 2 is cheaper, and so on until the last row behind is provided for free. As for the facilities, then Citilink does not offer free food service, but passengers can purchase hot food, drinks and in-flight entertainment on every airplane. As for the achievement, it’s still not gotten any yet. Batik Air is a scheduled Indonesian airline which made its first flight on May 2013 from Jakarta to Manado and as such Batik Air is a long-haul airline. Lion Air which acts as the parent company of Batik Air, created Batik Air as a full-service airline which began operations using Boeing 737-900ERs leased from Lion Air fleet. Then, its designed to accommodate the demand of middle to upper-class passengers supporting premium services. 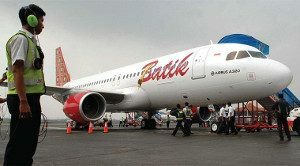 Batik Air is the third airline of Lion Air Group after Lion Air and Wings Air. Batik Air is based in Manado, a city on the island of Sulawesi, Indonesia. Batik Air offers two classes of flights, namely the economy and business class and each offering 12 business class seats and 168 economy class seats. Economy class passengers have seats at a spacing of 81 cm whereas business class passengers have seats with a seat spacing of 114 cm. Both economy and business class passengers can enjoy the facilities in the form of LCD panels mounted in every seat so that they can watch the latest movies or play games during the flight. The achievement that Batik Air get is as the highest on-time performance for the scheduled commercial airline during the period from July to December 2015 based on the results of evaluation of 15 other national airlines. 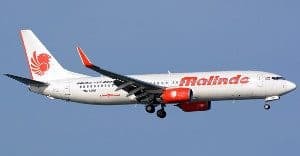 Malindo Airways is a low-cost carrier based in Malaysia. The airline is a joint venture between Malaysia National Aerospace and Defense Industries (NADI) (51%) and Lion Air from Indonesia (49%). The name ‘Malindo’ comes from the name of each country: Malaysia and Indonesia. 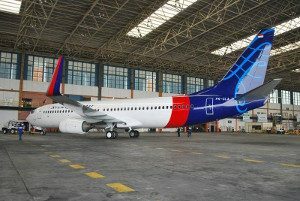 Parent Company of Malindo Air, Lion Air will start Malindo airways with 12 Boeing 737-900ER aircraft. In Malindo Airways, each passenger is allowed to carry 1 standard bag with maximum weight 7 kg and 40x30x20cm to cabin baggage. Baggage that does not match the weight and/or standard size should be checked. Stroller bags with dimensions such as the above provisions are allowed. Free luggage for Business Class is 40kgs and 15kgs for Economy Class and no free luggage for babies. Sriwijaya Air is an Indonesian airline based in Jakarta. Controls about 12% of Indonesia’s domestic aviation market, operates flights to 35 local destinations (and 2 internationals – Penang and Singapore). For seating, then Sriwijaya Air has a special economy class called ‘executive class’. Passengers can not select the desired seat online. To get a seat in the front row, or to be able to sit with a group, passengers should come early to the check-in counter. As for the flights’ facilities then it’s the same with another airline such as full services including meals and for a shorter flight of 1 hour then it’s usually given a cold snack. Air Wings Abadi Airlines (known as Wings Air) is a subsidiary of Lion Air with an operating center located at Jakarta airport. 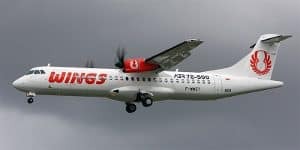 Wings Air was founded by Lion Air in 2003 and operates on a shorter or less popular route using the smaller ATR72-500 aircraft. Wings Air uses the same booking system and flight code as Lion Air, from a passenger’s point of view the difference between the two airlines is not noticeable. Merpati Nusantara Airlines is a major domestic airline of Indonesia, established in 1962 by the Indonesian government. It operates service schedules for 80 destinations throughout Indonesia, as well as international flights to East Timor and Malaysia. Merpati is listed in category 1 by the Indonesian Civil Aviation Authority for flight safety and quality. 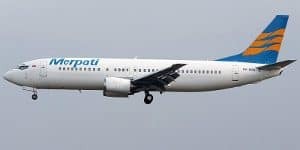 Owned by the Indonesian government and Garuda Indonesia, although now the faith of Merpati Airlines is in jeopardy due to its bankruptcy filing and not functioning anymore as an airline. Kal Star Aviation is a private airline based in Serpong (Java, Indonesia). Established in 2000, the airline is listed in category 2 by the Indonesian Civil Aviation Authority for flight safety quality. Kal Star serves less popular routes (especially in Kalimantan, Java and Nusa Tenggara), trying to find its own niche in the Indonesian aviation market. Kal Star Airlines has one flight class which is the Economy Class. NAM Air is an Indonesian airline serving the medium-service segment and is an airline subsidiary of Sriwijaya Air which has been established since 2003. NAM Air also acts as a feeder function, that is connecting between smaller cities with Hub city served by the parent airline. The name NAM comes from the name Lo Kui Nam, who is the father of Chandra Lie as President Director of Sriwijaya Air. For facilities, then it’s similar to all medium-range flights, as Nam Air serves free food and beverages on the plane. Passengers traveling in Business Class are served with free warm meals as well as desserts. Kartika Airlines is a small, local Indonesian airline based in Jakarta. Founded in 2001, it operates schedules of domestic passengers, cargo and charter flights. Domestic flights are offered on routes such as Jakarta – Semarang, Yogyakarta – Palembang, and Semarang – Pangkalan. Kartika Airlines is listed in category 2 by the Indonesian Civil Aviation Authority for aviation safety. Pacific Royale Airways is Indonesia’s newest commercial carrier which has been operating in March 2012. By offering full flight service, Pacific Royale hopes to compete with the national flag carrier, Garuda Indonesia. Initially Pacific Royale will use 10 fleet aircraft – Fokker-50, Airbus 320 and Airbus 330. Riau Airlines is a medium-sized Indonesian airline based in Pekanbaru, Riau province on the island of Sumatra. Established in 2002 owned by local government. In 2008, the airline was closed due to financial and regulatory issues. In January 2011, after receiving a cash injection from the government, several routes are continued. More routes are planned for reopening as soon as Riau Air receives more planes. Sky Aviation is a regional airline based in Indonesia. Founded in 2010, Sky Aviation is gradually expanding its services by offering flights between less popular destinations in East Java, South Sumatra, and Riau Islands. Some of the 14 routes on offer are special, including destinations that have not been flown by other airlines. TransNusa Air Services is an Indonesian domestic airline serving flights in Bali, East Nusa Tenggara, and southern Sulawesi. Established in 2005, with a major center in Kupang. TransNusa Air regularly brings passengers to 15 different destinations. By serving less popular routes, Trans Nusa Air is finding ways to fill the gap left by big airlines – for example, TransNusa flies three times a day between Bali and Lombok. Trigana Air Service is an airline based in Jakarta, Indonesia. The airline was established and started operations in early 1991. Now, regularly serving routes from Jakarta to 40 different destinations, operates 18 aircraft fleets. Tickets are available at several travel agents and sales offices in Indonesia.